Dave Reierson, Founder and Executive Director / With a desire to live out the command of “Love thy neighbor”, Dave started H2O in 2008. 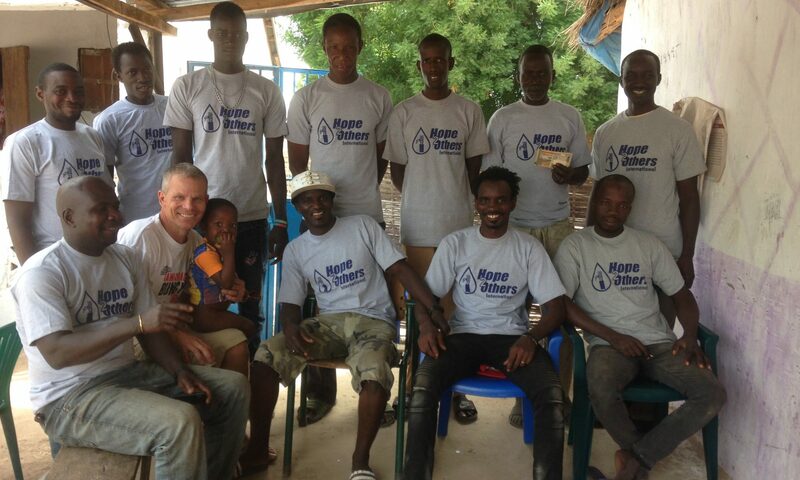 As an airline employee, he has the unique opportunity to use his travel privileges to bring clean water to those in need throughout the world. Ousman Sabally, Head of West African Operations / Ousman was born in Senegal, but lives in The Gambia. The heart of our West African operations, he oversees our drill teams, works with families to coordinate the drilling of wells, and also handles the logistics of moving materials throughout the country and across the border. His cell phone doesn’t stop ringing day or night! Janko Trawally, Head of West African Imports and Supply / Janko is a Gambian entrepreneur who runs a successful plumbing supply business in Serekunda. By importing better quality materials than are normally offered in the country, H2O is able to offer stronger pumps. Janko oversees the ever changing process of importing those goods, and a hub for owners to buy materials for repair. Our Local Drill Teams / These are the guys who sacrifice the most to help others! They travel throughout The Gambia and into Senegal. They operate in extreme temperatures and live in primitive conditions so they can help families have clean water right at their own home. If encountering rock while drilling they can sometimes be working 5-7 days to finish a single well. Yet even with these difficulties, they volunteer to drill about 15% of our wells for free so they can help widows and those that have nothing. Our board offers a diverse mix of talents and yet a single heart focused on helping and loving others. They offer wisdom, insight and encouragement to help us succeed in bringing clean water and hope to as many as possible.